Seattle, WA and Nairobi, KENYA – Gamewatchers Safaris of Kenya received two Eco Warrior Awards at a dinner held at the Sarova Panafric Hotel in Nairobi on November 25, 2011. 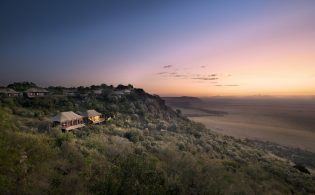 The Ol Kineyi Conservancy in the Masai Mara ecosystem, home to Porini Mara Camp, was named the top private conservancy in Kenya and Porini Amboseli Camp was named the top eco-rated facility in Kenya. Launched by Ecotourism Kenya in 2005, the Eco Warrior Awards honor creativity within the tourism industry in Kenya and are meant to inspire innovative actions to protect the environment and integrate local people into the business of tourism. A total of 13 awards were given in various areas across the sector. Ol Kinyei Conservancy was established by Gamewatchers Safaris six years ago and is comprised of many small plots of land leased from individual private landowners. These landowners, most of which are Maasai, have voluntarily vacated their plots to help form the conservancy. 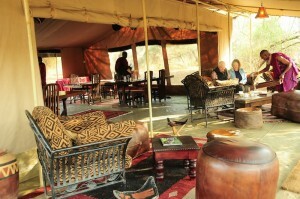 Today, Ol Kinyei is 16,000 acres and is exclusive to guests staying at Porini Mara Camp (http://www.porini.com/kenya.html?sub=mara-porini-camp) and at a handful of mobile camps. There are no more than 5 vehicles within the entire conservancy at any time. Gamewatchers is a specialist tour operator based in Nairobi, Kenya with over 20 years of experience operating wildlife safaris. Gamewatchers works with all of the leading safari camps and also owns and manages the Porini Camps (http://www.porini.com/), which offer a highly authentic safari experience. The Porini Camps are run on environmentally sound principles, specially designed to have minimum impact, with no permanent structures, using solar power for electricity and heating water with special eco-friendly sustainable charcoal briquettes. The camps offer the experience of staying in a small, high-quality safari camp comfortably furnished with private bathrooms, solar lights and located in exclusive wildlife conservancies in some of the finest big game areas in Africa. Here travelers escape from the crowds and experience the African wilderness without the presence of other tourist vehicles and with the personal attention of qualified safari guides. Walks with Maasai warriors and the opportunity for night game drives in exclusive wilderness areas are included. Game drives are in open-sided 4×4 safari vehicles, with expert guides. 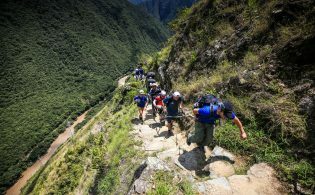 As a tour operator, Gamewatchers provides our trade partners with commissionable net rates, wide product knowledge of the top camps and lodges and excellent customer service throughout the booking process. 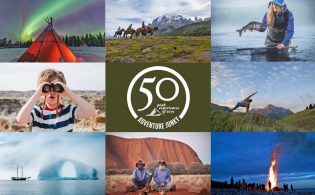 The Kusini Collection (http://www.kusinicollection.com/) is a US-based travel marketing firm that represents an exclusive group of complementary, owner-operated camps and ground handlers in Africa. The Kusini Collection is entirely focused on connecting highly-qualified, knowledgeable North American agents and outfitters with elite operating partners in Africa.